Rare â07 Penthouse opportunity in the prestigious Capitol Place! Luxury lifestyle in the heart of Honolulu. Features amazing views over the architecturally rich Capitol District to Diamond Head & sweeping views from the Ko'olau mountains to the sparkling ocean. Quality abounds in this sleek modern building designed by The Kobayashi Groupâ”from the interior finishes to the luxurious amenities offeredâ”Fitness Center, heated infinity pool, hot tub, barbecue cabanas, theater room, yoga room and dog park! Downtown at your door step with the convenience of access to the H-1. 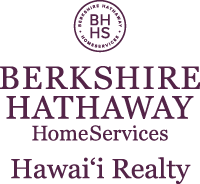 I am interested in 1200 Queen Emma Street UNIT PH 3407, Honolulu, HI 96813. Sign up for Inside AccessTM to view recent sales near 1200 Queen Emma Street UNIT PH 3407.